Natural Unfinished Aeromatic cedar on the outside. 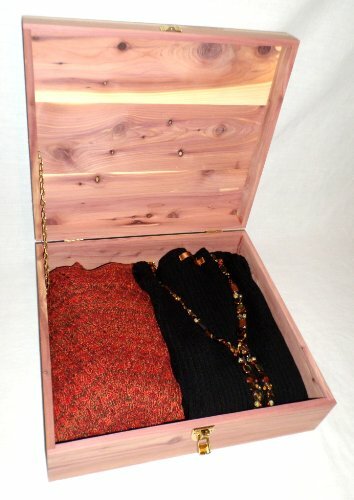 The inside of the box is unfinished thereby providing the aroma of aromatic cedar. The top, bottom and 4 sides all 100% cedar.